(Courtesy photo) U.S. 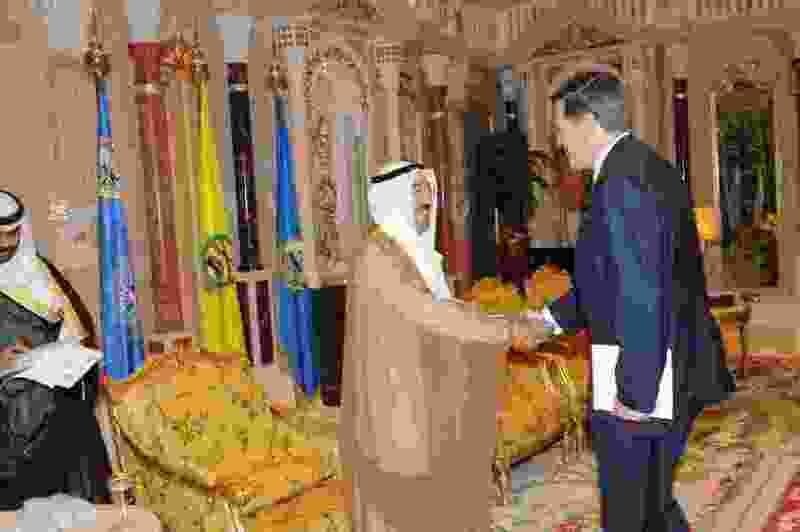 Ambassador to Kuwait Matthew Tueller presents his credential to Sabah Al-Ahmad Al-Jaber Al-Sabah, the Kuwaiti emir. Washington • President Donald Trump has named a career foreign service official from Utah to be the new U.S. ambassador to Iraq. Matthew Tueller, who is currently America’s ambassador to Yemen, would be the United States' top diplomat in Baghdad if confirmed by the Senate. Tueller grew up in the foreign service – his father, Blaine Tueller, worked for the State Department across the world, and the younger Tueller made a pledge that he would be an ambassador by age 50. He met that goal five years late, being named as the ambassador to Kuwait. In an interview six years ago, Tueller likened being in the foreign service to watching an epic football game but notes that doesn’t do the experience justice. "Often you are in places where you feel like you are on the sidelines of history," he said. "You have these great seats to see significant events transpire." Tueller has seen a lot in his time abroad. He was in Saudi Arabia during the Sept. 11, 2001, terrorist attacks and recalled taking a call from the White House when Princess Diana died. His service has been marked by tours in some of the most dangerous posts, including Yemen and Egypt. He previously served in Iraq as the U.S. embassy's political minister-counselor. He’s a graduate of Brigham Young University and Harvard and speaks fluent Arabic.